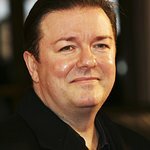 Comedian Ricky Gervais has spoken out against the routine suffering of primates in research, before experiments on them even begin. The Biomedical Primate Research Centre (BPRC) in the Netherlands breeds animals for its own use and other laboratories, collaborating with researchers in the UK including at the University of Cambridge. Latest figures show that it has reportedly more than trebled its primate use, from 95 individuals in 2016 to 317 in 2017. The facility has some 1,600 primates – around 1350 macaques and 250 marmosets – with most of the macaques kept in breeding groups of 20-40 individuals. When taken to be used in research for diseases, the primates are housed alone in small barren cages. At the end of the experiments they are killed. When no longer of use, animals are killed in front of their cage mates. With such suffering inevitable where primates are bred and used in research, ADI is calling for their use to be phased out, as adopted in a resolution at the European Parliament 11 years ago, for which a timetable has yet to be published. As one of Europe’s largest primate users, ADI urges the UK to lead on this issue. The UK used 2,215 primates for research in 2017, seven times the number used in The Netherlands and nearly a quarter of the total number of primates used across Europe. Primates are used mainly to test drugs and typically endure force-feeding or injections of experimental compounds and full body immobilisation in restraint chairs during experiments. The side effects of compounds given to the animals, or simply the stress of procedures, can cause rectal prolapse, vomiting, blocked lungs, collapse, self-mutilation and death. Terrified monkeys are also used in brain research, which can involve electrodes and bolts being screwed into their heads – despite that non-invasive technology is already used with human volunteers. Due to species differences, tests in primates and other animals have been shown to produce misleading results – replacing primates with more sophisticated human-based techniques provides results which are more relevant to people. Ricky Gervais -- We can end bullfighting in Catalonia. Act now!